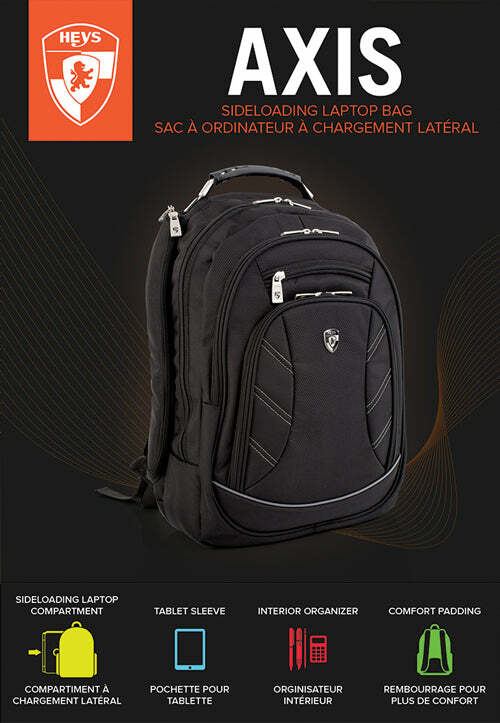 The Axis backpack features the patented side-loading laptop compartment that can fit up to a 15.6" widescreen laptop. 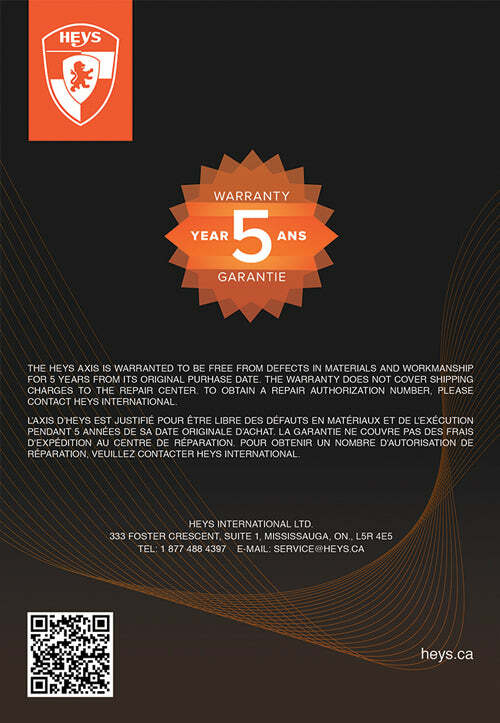 This exclusive compartment allows for an easy point of access to your laptop. 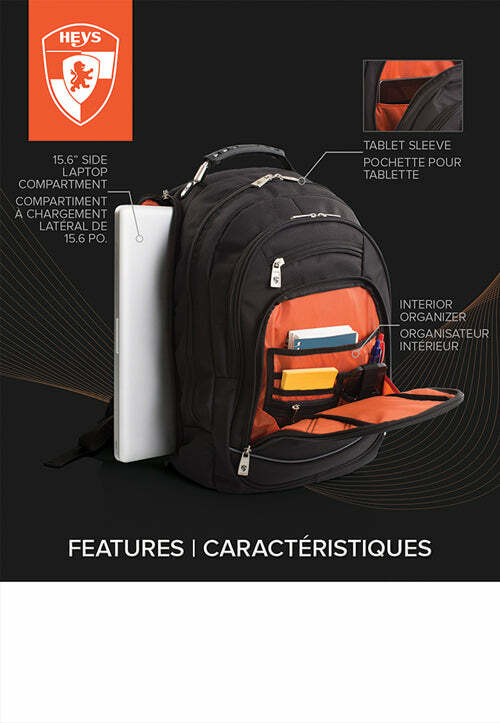 The Axis also offers superior organization for your gadgets and accessories featuring a tablet pocket located in the spacious main compartment and a front interior organizer perfect for your cellphone, pens and other accessories. 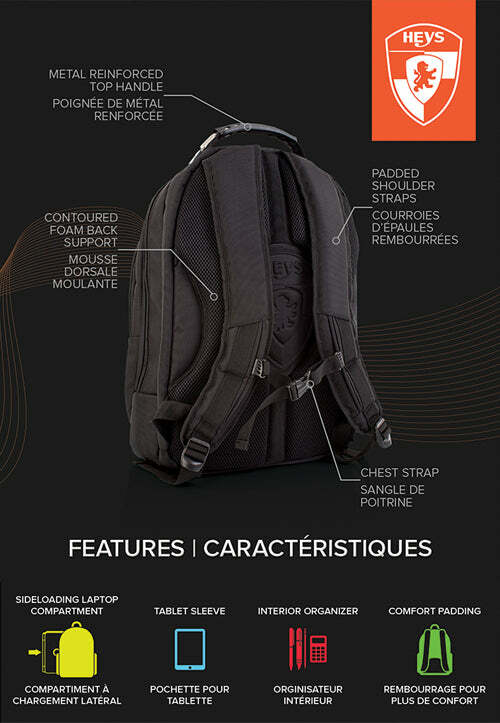 To maximize pack support and comfort, the Axis backpack is equipped with metal-reinforced top handle, generously padded shoulder straps and contoured back padding with moisture wicking air-mesh foam.